His (Swami’s) college students had the privilege to see another unique creation in the Ootacamund Summer Course in June 1976. What needs to be noted here is that Swami not only mentions that He would live till 96, but also indicates He would be present for 46 years after 1976. Swami was 50 at that time and that is why He talks about the “remaining 46 years” of total 96 years. Since He indirectly acknowledges His actual age at that time in regular calendar years, it is only logical to assume that the 96 and 46 years mentioned are also in regular calendar years. He could not have been using two different calendars at the same time. Moreover, after 1976 (till 2011), Swami was in His body only for 35 years. It is quite obvious that 35 standard calendar years cannot be equivalent to 46 years of any calendar, let alone a lunar one. The following audio clipping has Bhagawan’s original Discourse with respect to the above mentioned incident. It also contains some other amazing revelations that are NOT TO BE MISSED! This audio clipping had some other amazing revelations as well that point to Swami's return. The incident also clearly proves that Swami was not speaking in Lunar Years and that many things are yet to happen in Sathya Sai Avatar. “What I have materialised contains the map of India and contains all the 18 different components of India. And on each component is shown where the memorial stupas, which will represent the work done by Me, or the work that is to be done in each of the 18 states of India, is being written and is available in pictorial form on this medallion which I have just now materialised. And on the medallion is inscribed in Sanskrit words the works and the future tasks which I am going to fulfill. This body in which I have come is going to be present for another 46 years from now onwards. In those 46 years, whatever dharma sthapana, whatever work will be done by Me, in each one of the states and in the country itself, and what kind of dharma sthapana, what kind of colleges, what kind of education will be established, is all written now, for the next 46 years, the program is now written on the medallion that has been materialised. Not only this. 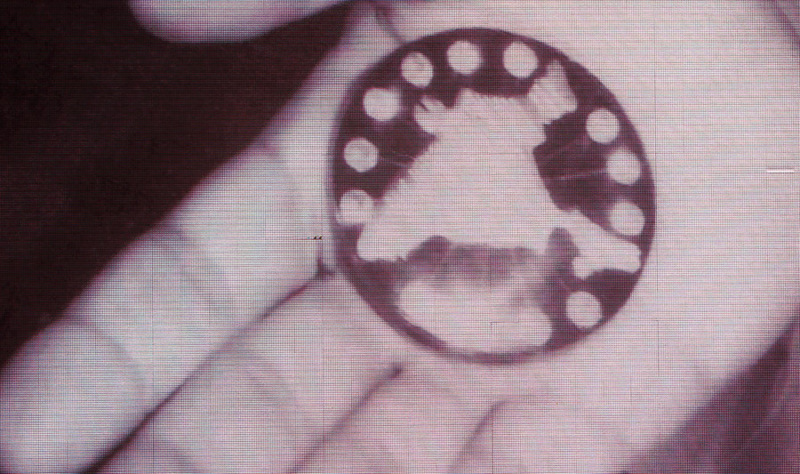 Which boy will be entrusted the task, in which of the 18 states, is also written on this medallion. If there is anyone who can read the Sanskrit script, he can read it very well, what is written on this. In the case of Ramakrishna Paramahansa, he had to use only one or two persons – Vivekananda and Brahmananda, who were in the form of sanyasis. You don’t have to become sanyasis. In this particular task of mine, I am going to use you young people, in a large measure as you are, putting you on the right path, use you as instruments for doing all that is intended to be done and all what is described here on this particular materialised item. And why do you hanker after these things? The person who has produced this is here and He belongs to you. Why do you want to look at what has been produced? I, who have produced this, I belong to you. I will look after you and I will tell you what to do and slowly, don’t be in a haste, whatever has been described here, whatever I intend to do in the next 46 years and who I am going to use and how I am going to use, how I will put on the right path will all be described by me to you, item by item in due course. Don’t be in a haste, only remember that you should take the determination and should appreciate the task which you are called upon to do, and you should determine to follow the task and take the right path. This is all that you have to do, the rest will be looked after by Me. I belong to you and I am with you. And why do you think of what I have produced? Moreover in future you will see me in many different forms which are manifestations of Myself. Swami has, right from the beginning, the plan to spread divinity and divine power all over the world. For the sake of it, Swami has established educational institutes and in the name of education, brought the students here. How these sound waves and these electrical waves and Jyotir power will find you in future. When Swami is just talking in the auditorium, Swami may be seen in mandir, and when Swami is in the auditorium, He may be seen in the classroom actually through His Jyotir power. And I also resolve that very soon, I’ll be launching a massive program, revitalising of ancient customs, of ancient treasures, of ancient traditions and all the scriptural truths amongst all peoples of all lands. You need have no doubt whatsoever that we shall be successful. Victory is bound to ours. Don’t give yourself to doubts of distrust. Don’t become doubting Thomas’s. We shall very soon be blowing the conch of victory around, this is a certainty, this is a certainty. Embodiments of love, what the future holds is beyond your understanding but I can see what the future is going to be like. A time will come when the whole world will be at my feet. A time will come when the whole world will rejoice in having understood my true divinity, my true nature. It is a great effort that I am making, thereby I am confining Myself, I am not letting My glory spread all on its own, all of a sudden... But certainly a day will come when the people of the world would have recognised what Swami is, His Glory, His majesty, His grandeur. And they will all come flocking in their lakhs and millions. You have an opportunity of sitting so close to Me, understand this truth now, make the most of the opportunities which are coming your way, plunge into constructive activities, listen to Swami’s words, live in His love, experience His bliss which is very much your own. Don’t throw away this golden opportunity. The world will very soon become a big Prashanti Nilayam by itself…this diamond which is a priceless entity is subject to any number of hardships which is cutting here, cutting there. The more you cut, the more brilliant it becomes. So also a creeper is cut so that it becomes more beautiful…. He is to be in His physical form for 46 years more. In 1976 Sai was 50 years old, which means that by the time of His ‘death’ (2011) He still had 11 years more. By deduction we can see that the Sathya Sai avatar must return in order for this prophecy to be fulfilled. There will be stupas and educational institutes in all 18 states of India and that the heads of these institutes are ‘pre-ordained’ (they were born for the task). The young people, such as those He was speaking to, were to be used as divine instruments to achieve the fulfilment of the prophecy. These young people will not need to renounce worldly life, they will simply have to experience the power, grace and bliss of Sai and get on the right path by becoming useful, productive members of society. His program will succeed in completely revitalising the ancient Vedic traditions and truths (sanatana dharma) on earth The whole world will come to understand that Sai is indeed God and the entire earth will become a Prashanti Nilayam. He is holding back the power of His will, ‘confining’ Himself for the time being. Negative aspects need to be ‘cut away’ in order for the organisation / mission to progress correctly. Wicked people and wicked organisations that try to stop the establishment of Sai’s program will always fail. The more they try, the quicker and more grandiose will be His victory. This is a golden opportunity for all of us and it is very important not to throw it away. Stupa: A monument in the form of a large pillar. Dharma sthapana: Establishment of dharma. Prashanti Nilayam: ‘Abode of the highest peace’, the name of Sathya Sai Baba’s main ashram in Andhra Pradesh, India. Sanatana dharma: ‘Eternal wisdom / righteousness’, the true basis of all religious, spiritual, mystical knowledge. Sreejith, a million, million thanks for putting this audio clip. You are most welcome. I need to find out who originally put together this amazing clip. Did Shirdi Sai Baba lived for 96 years or 84 years?? During a discourse on 28th September 1990 Sathya Sai Baba said that Shirdi Sai Baba was born on 28th Sept 1835 and lived upto 15th Oct 1918 which is essentially 84 years but when converted to lunar calendar it comes out to 95 years running. Baba said "Today I do not intend to speak on Navarathri or Sivarathri I propose today to reveal what has not been known to anyone hitherto.In the former Nizam's dominions, there was a remote village called Pathri. In that village therewere a couple named Gangabhavadya and Devagiriamma. They were grieving over the lack of children. In answer to their prayers, a son was born on September 28, 1835. Today is the anniversary of that day. That child was Sai Baba." Now if we look at Baba's calculation it matches to the same as Shirdi Sai Baba. I agree with you regarding the details you mentioned regarding the Shirdi Sai Avatar. But Swami has never indicated even indirectly that the life-terms of Shirdi Sai and Sathya Sai Avatar would be the same. If you listen to the audio clip from 1976, Swami says He will be in His body for another 46 years. In 2011, did Swami complete 46 lunar years after 1976? No. According to lunar year calculation, in 2011 Swami completed 39 lunar years after 1976. Ironic is what i remember from hearing of someone (i think it was susanna), while i was in Puttaparthi. She told me something about a discourse with Baba. She must have been there also during that discourse. Baba mentioned there that he was in his 90's or at least older than how we would count according to western counting. People were laughing when he said that and when the discourse was going to be published, someone had changed the age! The discourse may have been from the end of 2008, but i'm not sure and maybe she was also not sure what time it exactly was. However, i have here the book "Divine revelations", which mentions something about his age that might be already included in the book of this website. By the way, my nose is being tickled when i'm busy with the message. Perhaps Baba's sign to indicate that the age in the discourse is not like a final truth. I also got dreams with Baba that could indicate his return, rather than a "departure" that was final (from the body). Interesting that you should post this now! Last week, I was listening to Dr. T. Ravikumar, the Chemistry professor from Brindavan campus. He spoke at the Indian Culture & Spirituality course in 2012 this year and mentioned the very same episode. He was present on this Ooty trip of 1976 I think. He was saying that although students present there tried to read the sanskrit script on the medallion, the script was so small that they were unable to read it. Maybe it was meant to be that way at that time! :). It was one of the evening sessions at ooty that Swami 'rewarded' them with, for winning a 'race' (which He set them up to win, of course!). Amazing allegory huh? The Recording of Dr. Ravikumar's speech is on Radiosai (June 2012). Amazing to hear the actual discourse. thanks for posting, and thanks to whoever put it together. Wonderful! I always wanted to listen to this discourse since I read about this in a website. Thank you again. What Swami spoke of always come true. Let's have patience and wait for the future plans of Swami to be revealed. Wow. Thank you for bringing forward this audio of Sai. Excellent. "Victory is bound to ours. Don’t give yourself to doubts of distrust. Don’t become doubting Thomas’s. We shall very soon be blowing the conch of victory around, this is a certainty, this is a certainty." I received an email on 20.11.13 about an amazing story told by the well known singer and musician, Sumeet Tappo, at a Conference in Canberra. Sumeet Tappo had been deeply involved in the grand musical event accompanying Swami's Golden Chariot entrance on His 85th Birthday Celebrations in 2010. The burst of musical sound included celestial bells and the blowing conch shells as befitting the Lord's appearance. "Ae.. you think you planned and created those sounds of the conch shells and the celestial bells?"...... " Those sounds were planned 10,000 years ago!".... " It was planned 10,000 years ago because at this point in time this sound was to be played, heralding the end of the Kali Yuga and the beginning of the Satya Yuga!" His Word is always Truth. "The conch of victory" has been blown! The Golden Age is here! Golden Age is something when everyone does the right thing. Do the right thing yourself and do not expect others to set an example for you. There will be bad people in all ages. It is how you react and how you conduct yourself in facing those challenges would bring upon the changes you want to see in others. Thanks Joy for the vimeo link to the talk by Sumeet Tappoo as it is truly wonderful & for me the information about the end of Kali Yuga and start of Sat Yuga described by Swami is absolutely incredible ! The answer Swami gave using the anology of the ceiling fan let me fully understand an experience I had with Him in his Prasanthi interview room in 1990, amazing how our Divine Loving Sai cares for us. Sai Ram. Sai Ram Mark. So pleased that you were captivated, as I was, by Sumeet Tappo's video. If your Interview experience with Swami is not too personal, it would be wonderful if you could share the story with us all. It is always thrilling to hear about interactions with the Lord, especially when there is a later, deeper understanding of an incident. Our every encounter with Swami, even if through His Words or Photos only, will have depth and repercussions that are revealed long into the future and, through his book and website, Sreejith is adding to our store of 'Encounters with The Lord' which will reverberate within us throughout this Golden Age. There is one interview with sumeet tapoo on radio sai where he talks about the importance of gayathri mantra and the effect it had on BABA.he also speaks how swami's body temperature started increasing when he was chanting gayathri mantra while touching swami's feet.only after he said on shanthi 3 times did BABA'S body temperature come down sai ram. I read the book and found a great part was dedicated to Swami's Samadhi date and the actual date he was to abandon his physical form. We are grateful that He will make tangible attempts as time evolves, to reappear. This is what we should be concentrating on. Focus on Swami, His works, His legacy is too vast for us to quibble over the fact that He departed 11 years .prior as this article states. 'Dummy Essentials' points to many relevant and pertinent issues about Swami, well written! Swami will fulfill His mission as Sathya Sai in His subtle Sukshma form !
" Now I am not seen, but My actions are seen "